Thomas M. Dougherty | Geraghty, Dougherty & Stockman, P.A. 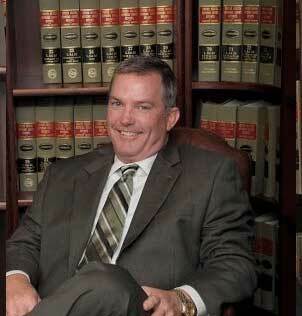 THOMAS M. DOUGHERTY is Vice President of Geraghty, Dougherty & Stockman, P.A. For the past 19 years, his practice has focused on civil trial work in both state and federal courts in the areas of personal injury, wrongful death, legal malpractice, eminent domain, inverse condemnation, real property, landlord-tenant, commercial and business. Mr. Dougherty graduated from the University of South Florida with a B.S. in accounting, and received his Juris Doctor degree from Nova Southeastern University Shepard Broad Law School. Upon graduation from law school, he began working with Patrick E. Geraghty and later formed the firm of Geraghty, Dougherty & Stockman, P.A. Mr. Dougherty was admitted to The Florida Bar in 1994 and is a member of the United States Supreme Court, United States Court of Appeals for the Eleventh Circuit and the United States District Court Middle District of Florida. He is a member of the Florida Justice Association, past vice president and president of the Southwest Florida Federal Bar Association, Lee County Bar Association, American Bar Association and the American Association for Justice. He also acts as General Counsel for the Housing Authority of the City of Fort Myers. He has achieved an AV rating for the highest level of professional ability and ethics from Martindale Hubbell. An aggressive advocate for the rights of his clients in the courts, Mr. Dougherty receives satisfaction through helping individuals fight for justice. He derives much of his unending energy from the challenge of finding creative ways to resolve cases. Mr. Dougherty has received several million and multi-million dollar verdicts and settlements for his clients in personal injury, wrongful death, auto collision, medical malpractice and inverse condemnation. In July, 2012 the Second District Court of Appeals affirmed a jury verdict, including attorney fees in excess of $12,000,000.00 on an inverse condemnation case tried by Mr. Dougherty in 2009. Mr. Dougherty and his family are long time supporters of the CCMI (“The Soup Kitchen”). They believe that in this country “no one” should go hungry.